I am a sauce lover. I am never one to pass up the gravy, I always ladle an extra portion of sauce on my pasta, and i pour every last drip from the pan when I serve up our dinner. To me, the sauce is like the cherry on the cake. It was already good, but sauce just made it MAZIN! 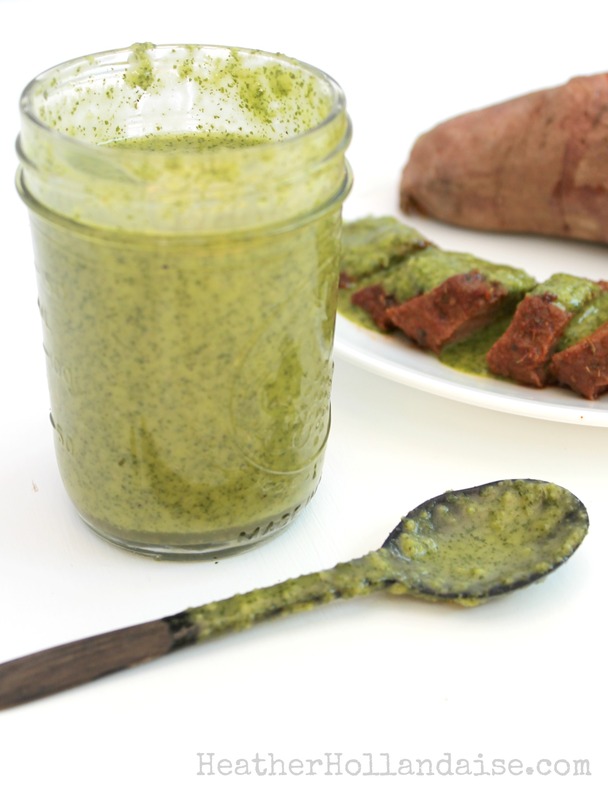 This Chimichurri Sauce is one of my absolute favorites. I could just eat it with a spoon. It’s so versatile, you can put it on anything. Steak, chicken, fish, veggies. It’s glorious. 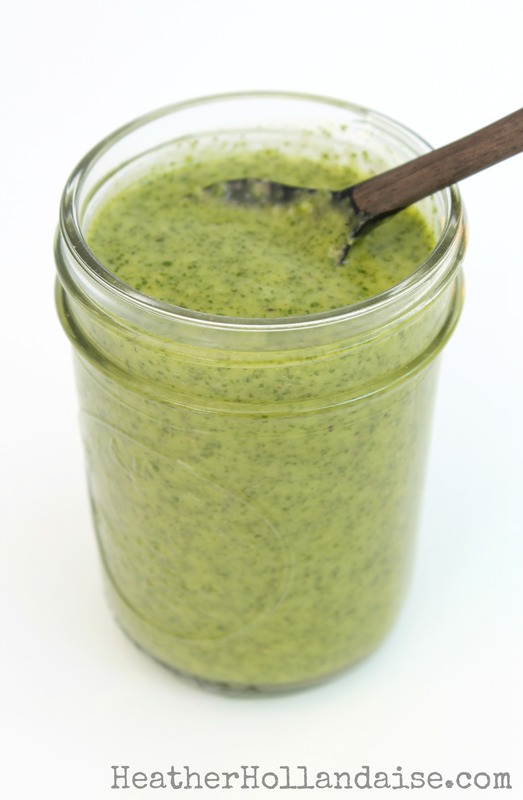 This garlic herb sauce is a wonderful addition to almost any dish. Perfect on grilled steak, chicken, fish, and even veggies! Add all ingredients to a blender or food processor and blend until smooth. Chill until ready to serve. I have yet to try Chimichurri sauce, but this recipe has me intrigued! It looks so simple and good that I’ll have to give it a whirl. I love chimichurri sauce especially on tacos and oh yeah especially GRILLED CHICKEN! I haven’t made Chimichurri sauce in a while so I think I will make some the next time I make tacos. Mmmm tacos! Great idea, Valerie! Maybe even toss in a jalapeno. I’m a sauce lover, too! And I’m always searching for good sauce recipes, this one is definitely going to be used! I just die over fresh herbs! This is a beautiful sauce <3 I'd totally load this on grilled chicken right now! Looks great! I love a nice fresh green sauce on bbq meat at this time of year. Will definitely give this one a try :-). I’m a sauce girl, too. A meal isn’t complete without some sort of sauce to either drizzle on top or act as a dipping sauce. This chimichurri looks divine. I’ll put it over everythinggggg. Right?! I know i did. lol. Thank you Steph.